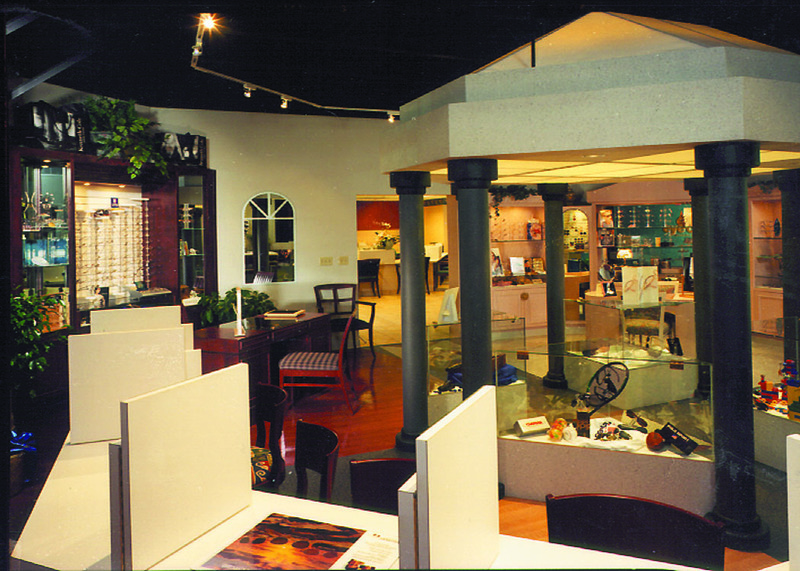 Completed in April of 1999, the Eye Care Center incorporates a 12,000 sq. 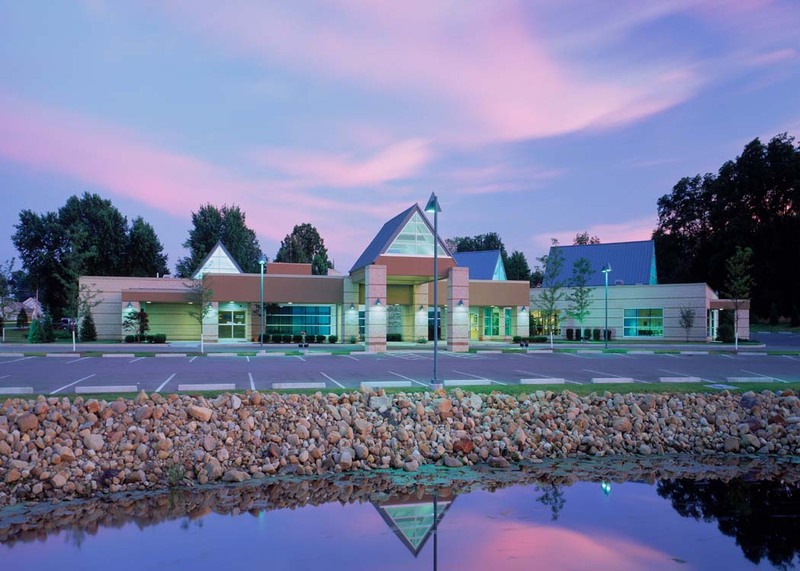 ft. group practice ophthalmology center with a 6,000 sq. ft. optical laser surgery center. This unique design solution of joining two separate buildings with a common outdoor courtyard and single arrival canopy & covered walkway unifies the design. The use of materials such as split face concrete masonry units with brick accent trim helps to reinforce the unification of the separate building into one cohesive facility. 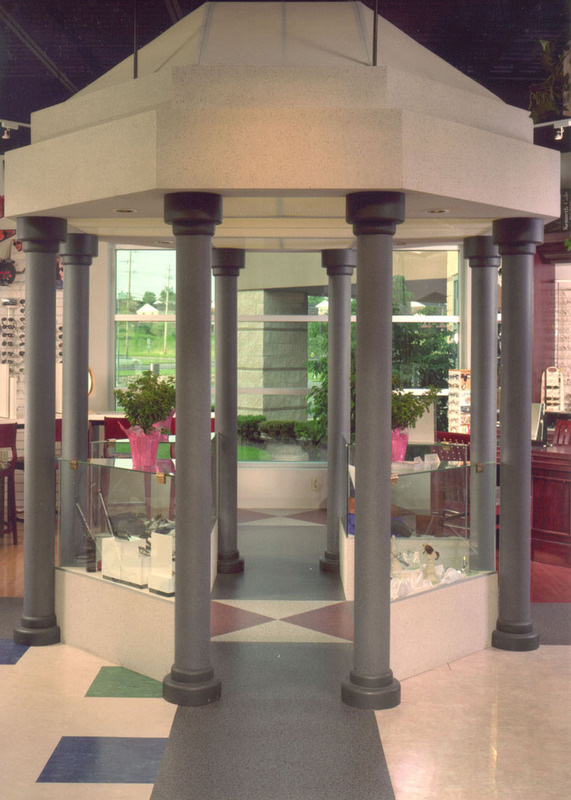 A combination of masonry and glass was selected to give solid, durable and contemporary image to the Eye Care Center. 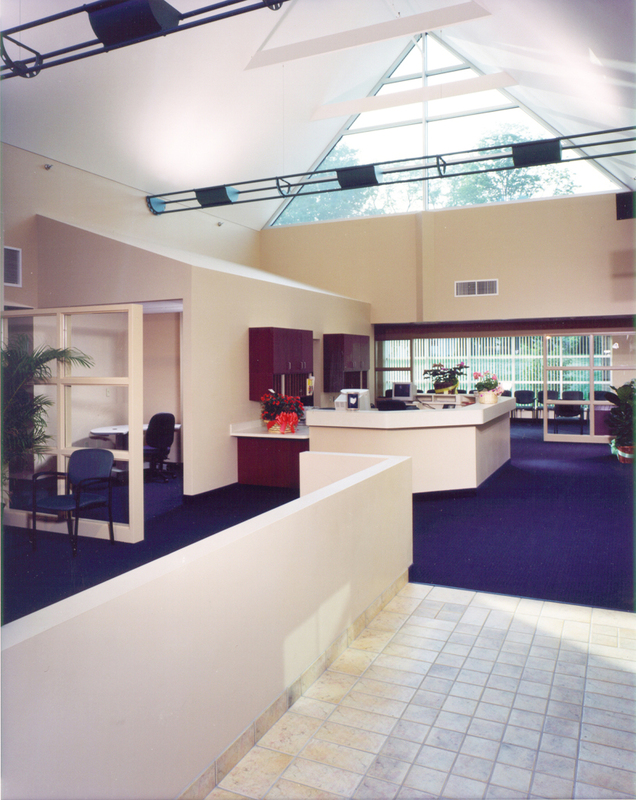 Vaulted roof areas add to design an open and spacious appearance, while providing interior natural light to reception and waiting areas of the building.